How To Write A Thesis Statement: The Most Helpful Tips And Tricks? A thesis statement may be one of the shortest academic works you’ll ever be tasked to write, but at the same time it’s one of the most essential ones. A thesis statement can be just a sentence long, but it’s the one sentence that allows the reader to know whether your work is useful and interesting to them. Ideally, as short as it is, a thesis statement needs to include the idea of your work and which questions your work can answer. That is why you shouldn’t take the thesis statement writing process lightly, as this short sequence can make or break your whole thesis and affect the success of your months-long work. When preparing to write their thesis statement, many students resort to looking for examples of thesis statements online, but this step doesn’t always bring the desired results: not only can some of the examples you discover online be just not very good, but they can also be vastly different from the topic and specifics of your own thesis. A better way to begin working on a thesis statement is to formulate the main idea of your thesis as shortly as possible. You can expand it later, but a short phrase will be the core of your whole statement. Use the statement to express your opinion on the topic. This is especially true for any topic that may potentially provoke debates, and your position as an author should be clear from the first sentence. Questions usually don’t make good thesis statements. Even if your whole work is dedicated to answering one or several specific questions, try to formulate your sentence as a statement instead of a question. As for the timeline, writing a thesis statement before completing the thesis itself will lead to numerous editings, which is very time-consuming. Experienced writers recommend writing the thesis statement and the introduction after the main parts of your thesis are done. If you don’t want to constantly rewrite those two parts, no matter how short they may be, leave them towards the end of your writing schedule. 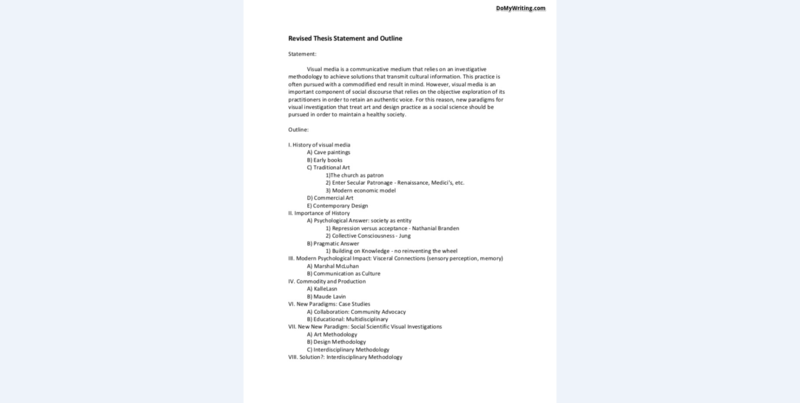 Every word in your thesis statement should be pointed and meaningful. You only have a sentence or two to express the value of your work, so make every word count. Brief and specific thesis statement have repeatedly proven to be the most successful. Grab the attention of your readers. Whether you do it through a controversial statement or use some other technique to catch the attention of those who read the statement, doing it ensures they won’t quit reading your thesis until the end. How To Write A Thesis Statement: Should You Look For Examples? One of the worst things you can do for the success of your thesis statement is simply copying someone else’s statement without considering whether it even fits the purpose of your work. However, it doesn’t mean that you can’t use other people’s thesis statement for inspiration. The best way to use the thesis statements completed by other writers is to study the structure of the statements and to assess whether they fulfill their purpose. 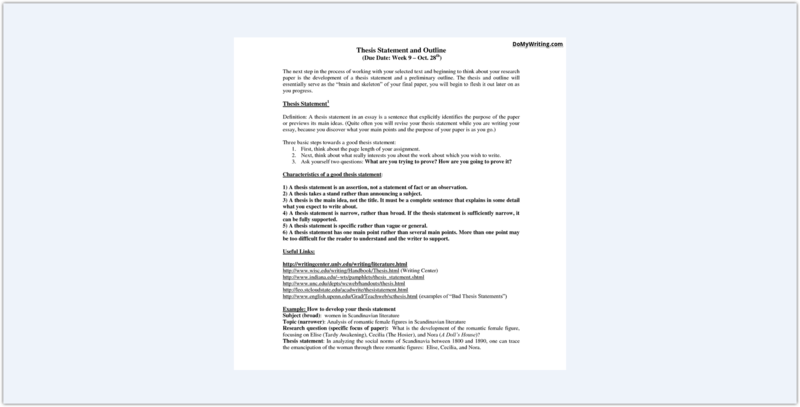 Evaluate the effect of their thesis statements and whether it sends the right message. Note the particularly good examples and the way they’re structured – they can be very helpful for the construction of your own statement. 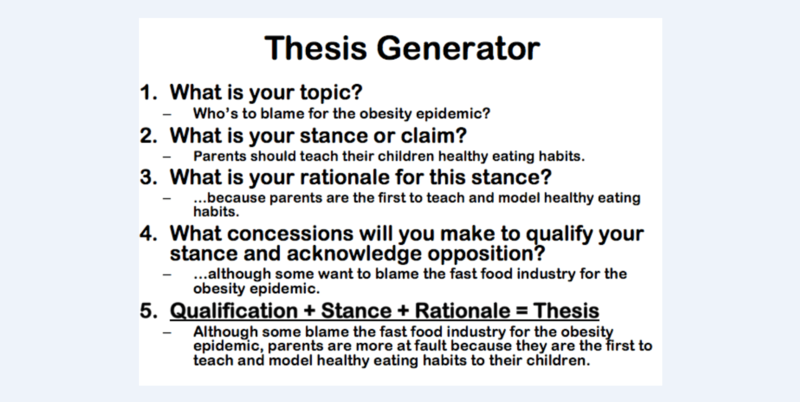 How To Write A Thesis Statement: Need Any Help? Given how much emphasis is put on the thesis statement and how important this tiny piece of writing is to your whole work, it’s not surprising that students crumble under the pressure. Your first instinct may be to give up, but you know very well that this decision won’t do you any good both in the short and long run. If you’re running into trouble trying to craft that perfect thesis statement, you have several options. The most obvious source of writing help is your professor, supervisor, or tutor. However, the busier the professor or supervisor is, the less likely they are to help you. Even if they do help you once, they will likely be reluctant to help you later, especially if they believe you can do the task yourself. Another source of help with writing your thesis statement is your fellow students, although this source also has an obvious disadvantage – the writing skills of your classmates may be subpar, and those who are very serious about their studies, already have a lot on their plate and cannot be expected to provide help to anyone who needs it. Luckily, you are not out of options when it comes to thesis statement writing help, because our writing service is here to help any student who is struggling with completing their assignments. Whenever you’re stuck writing a thesis statement and want a professional writer to help you at any stage of the writing process, we are always here at your service!